Carisbrook Dental is known as the ‘Gentle Dentists’ … and for good reason because right at the heart of our patient care policy is the special concern we provide for patients who are nervous or who might be worried or stressed about the prospects of visiting a dentist. As we are quite possibly the leading Manchester dental clinic we see literally hundreds of patients every week and that means we are perfectly placed to recognise just how stressful some people view any visit to the dentist. That is precisely why we place so much emphasis on making everyone, especially nervous patients, feel completely relaxed at all times. At Carisbrook we are in fact registered with both the Dental Phobia Organisation and the Dental Fear Organisation and everyone in our team has undertaken special courses designed to help us put patients at ease. Dr Idrees received a five-star award from the Dental Phobia Organisation. Our nervous patient care begins the moment you make an appointment at the Manchester Dental Clinic and our receptionists are always happy to discuss any particular fears or anxieties you may have. The key to our nervous patient care is to let you relax and feel reassured that we will take everything at a pace to suit you. We will never rush you or pressure you into doing anything at causes concern or raises your anxiety. Slowly and sympathetically is our policy and we do all we possibly can to make everyone feel relaxed and reassured. In addition to helping nervous patients feel perfectly at ease, at our Manchester dental clinic we have also paid particular attention to developing special pain management techniques. 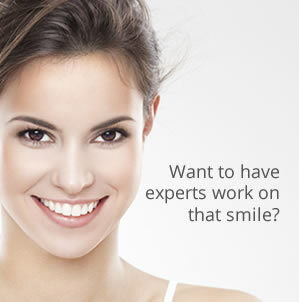 In fact we are one of the only Manchester dental clinics to offer our patients The Wand. This is a revolutionary pain free injection device (about the size of a pen) that enables us to deliver painless anaesthetic. Because it dispenses the anaesthetic so gently and precisely, many patients remark that they do not feel it, nor do they experience numbness in their tongue and lips for hours after their visit to the dentist. If we feel that any patient is particularly anxious about their dental treatment we can provide a sedation treatment that will make them feel perfectly relaxed while remaining fully awake and able to co-operate with the dentist. After the treatment however, the patient will not remember anything about it. Patients who have had their treatment under sedation often tell us just how stress-free and relaxing the experience was. If you feel that you are a nervous patient and would like to discuss more about our nervous patient care plan, together with our pain management techniques then please do not hesitate to call us on 0161 951 7295 to make an appointment. If you prefer you can also send us an online message using the form on our Contact Us page.